A bank holiday in August only really means one thing…. ITS CARNIVAL!. 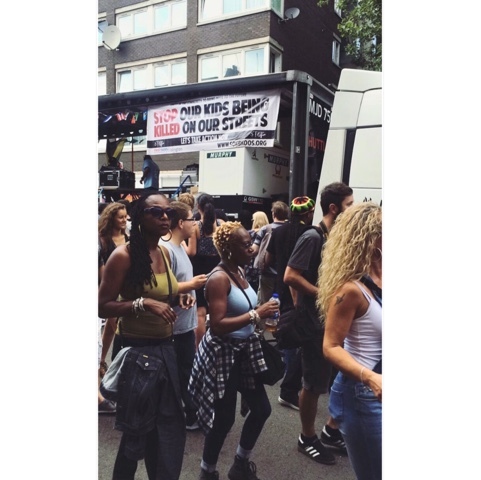 If you didn’t know every year during the August bank holiday Notting Hill Carnival begins. This massive event celebrating freedom of expression and also a reminder of the Caribbean islands many black people had left behind when coming to England. This celebration of Caribbean culture grows every year, this year snapchat revealed some amazing numbers. 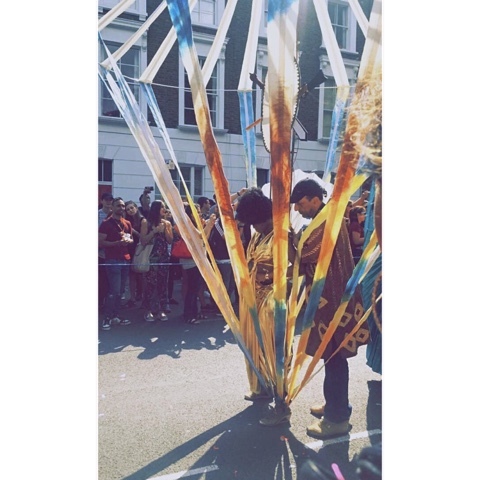 I’ve been to carnival three years in a row now and before that I hadn’t been in years. I’ve always said that I don’t see any arrests or any trouble when I’m at carnival. Only this time round I saw one young man being walked off in handcuffs by some police officers. Normally I don’t hear about any of the arrests or acts of violence until I’m at home recovering from all the festivities. This post was originally going to be about people bringing up black on black crime when #Blacklivesmatter is mentioned, but Carnival tied into what I wanted to say. Something everyone should know is that “black on black crime” is indeed crime against black people committed by black people, however the crimes aren’t committed because of race. I think that’s something people get confused, they are criminals regardless of race. These boys and girls aren’t stopping to think about what race anyone is. Recently there has been some knife crimes in the UK, there’s the stabbing of a 20 year old black male in Statford park and 19 year old Andre who was sadly killed with a machete. Then the sixteen stabbed at Notting Hill Carnival. Something I always regret doing is reading the comments. I wasn’t surprised to see middle aged white men sarcastically commenting “black lives matter” under arrest and stabbing reports. Black lives matter is about reminding people, black lives matter too. We want justice and an end to police brutality. Our loved one are being killed and there is no justice. It suggests that there is a lack of care for black people. But we are supposed to accept this treatment because black people kill other black daily. So carnival is done which means every article and news report is going to start revealing the numbers of arrests and stabbings over the two days. Now I have no problem with this, I don’t believe it should be ignored however the way the media go about it is extremely worrying. When the media is dominated by white people I do question if the information shared is done with racist or bias undertones. Due to the increase of police arrests each year, the money spent on the cleaning up and the amount of money spent on police to be at this event people are calling for it to be banned. I just find it funny how carnival has been going on for years, 50 years to be exact and people think that it’s going to be banned now. The number of people attending carnival rises each year, so the acts of violence is not stopping a large amount of people from attending. There’s a lot of comparisons to “white events” which doesn’t take a much thought to realise the main differences. These big music festivals don’t have a walk in walk out policy. If Wireless and VFestival was free and open to the public event I can guarantee there will be just as much arrests as there is at carnival. These festivals have ticket checks, metal detectors, searches, all these procedures stop criminals from attending, you’ll get the odd few slipping in but not as much as you would with an open event. It’s easy to just say ban carnival, when really people should be looking for a solution. 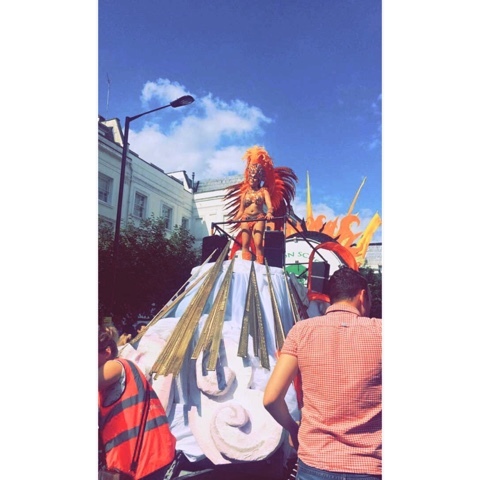 Hope everyone who went to Notting Hill Carnival had a great time. If you could change one thing about carnival what would it be?